Six ordinary foods known to have a positive effect on your health are soybeans, garlic, celery, broccoli, grapefruit and flaxseed. Few if any of us eat all of these every day. Fortunately there's an alternative-Vegetable & Fruit tablets. The goodness of five veggies and one fruit packed into one powerful tablet. Now with our exclusive Vegetable & Fruit tablets you can help yourself to a wealth of health. You not only get vitamins and minerals but you also get the immune-supporting natural plant nutrients that act as protectors to the body. 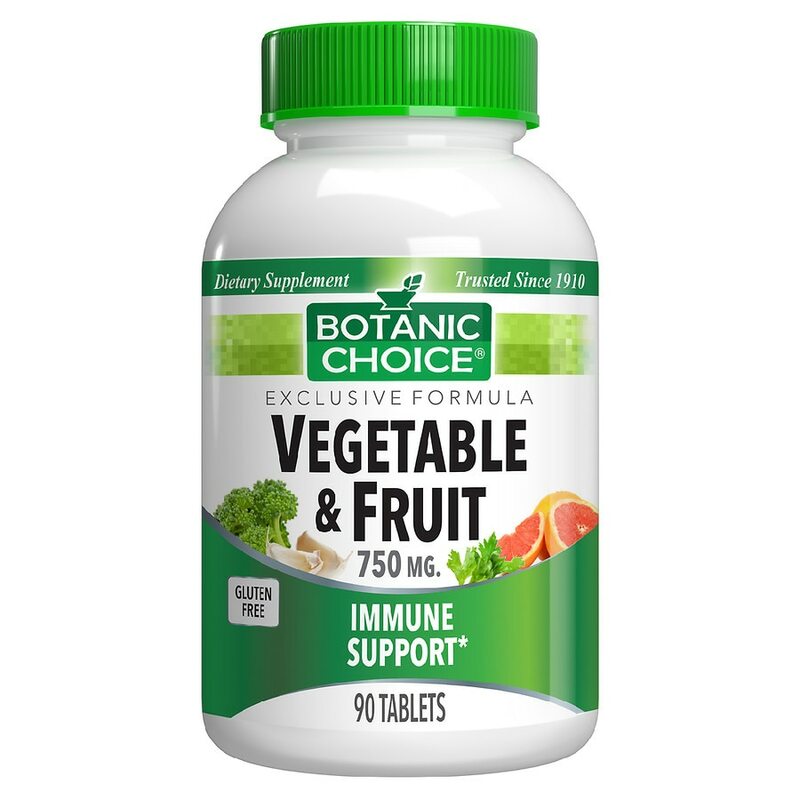 For peace of mind and to help your body help itself, join thousands of others who make Vegetable & Fruit tablets a part of their daily health program. Take 1 tablet three times daily, as a dietary supplement, or as directed by a physician. © 2011 Indiana Botanic Gardens, Inc. If you are taking any medications or are pregnant or nursing do not use prior to consulting a physician.